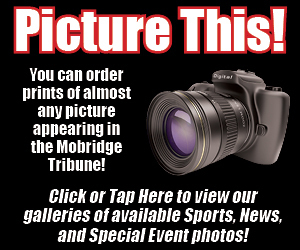 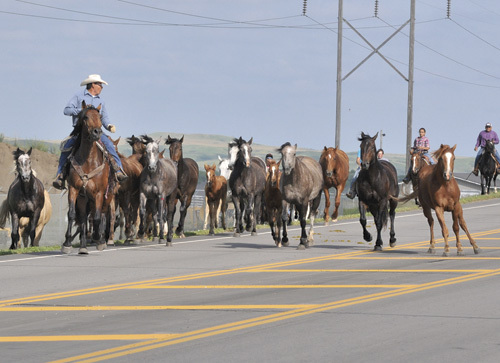 Much as the cowboys of yesteryear did, a group of wranglers brought the wild horses across the bridge Thursday, June 30, on the way to the Mobridge Rodeo Grounds. 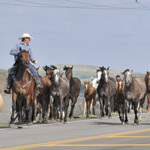 Jabo Gabe and his crew drove the horses across the bridge, to 20th Street, using the back roads to the rodeo grounds. 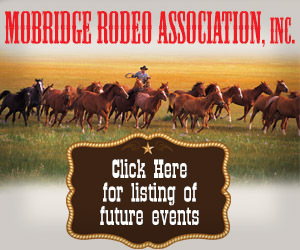 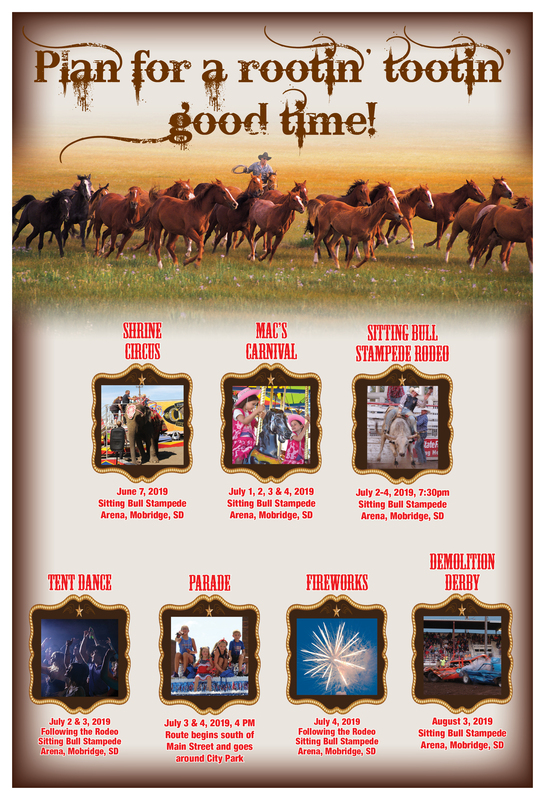 The horses were used for the wild horse ride event at the Sitting Bull Stampede performances.